Google has a plan to retain some of its top talent. According to The Information, the company is looking into starting an in-house startup incubator. Known internally as “Area 120,” the plan is to allow entrepreneurial Googlers and their teams to develop their ideas with Google’s support and funding and potentially branch out with Google as an investor. Executives Don Harrison and Bradley Horowitz will reportedly manage the incubator. Details on the effort are thin at the moment, but sources say teams will be able to work within the incubator full-time after drafting up a business plan. After several months (the timing is unclear), teams can strike out on their own as a whole new company. 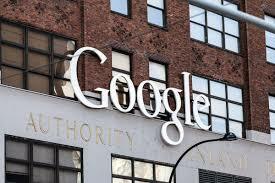 According to The Information, Google hopes that the incubator could stem the flow of talent to competing companies. For instance, the company just lost Regina Dugan, the powerful former head of the Advanced Technologies and Projects group that developed tech like Project Tango, to Facebook earlier this month. However, whether or not Google can foster an environment where talented employees have the freedom to innovate is an open question.